Review • "The Long Walk" an inspiring journey into an Iraq War veteran's reality. 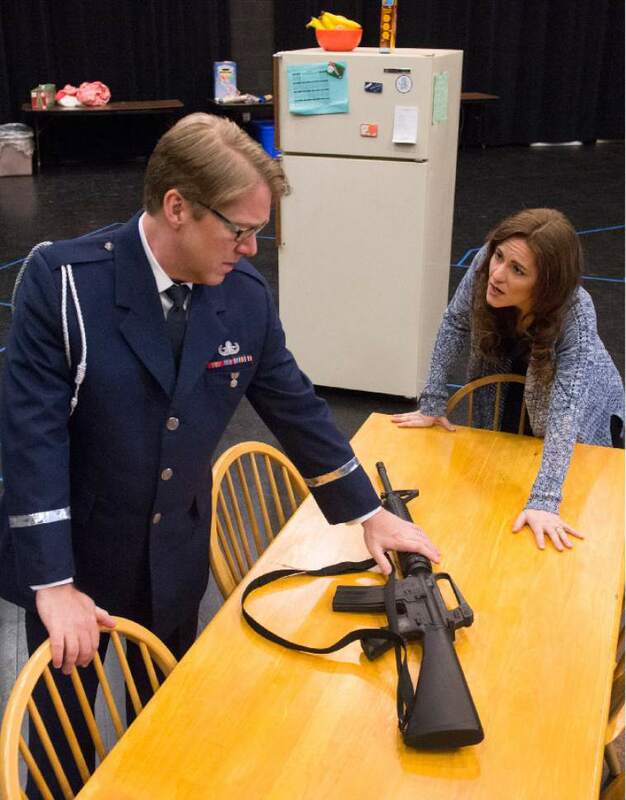 Leah Hogsten | The Salt Lake Tribune Daniel Belcher plays Brian and Megan Marino plays Jessie in Utah Opera's upcoming production "The Long Walk." The story follows Brian Castner, whose memoir "The Long Walk: A Story of War and the Life that Follows" chronicles his service in the Iraq War and struggles after in dealing with a traumatic brain injury. Leah Hogsten | The Salt Lake Tribune Daniel Belcher plays the lead role of Brian in Utah Opera's upcoming production "The Long Walk." The story follows Brian Castner, whose memoir "The Long Walk: A Story of War and the Life that Follows" chronicles his service in the Iraq War and struggles after in dealing with a traumatic brain injury. 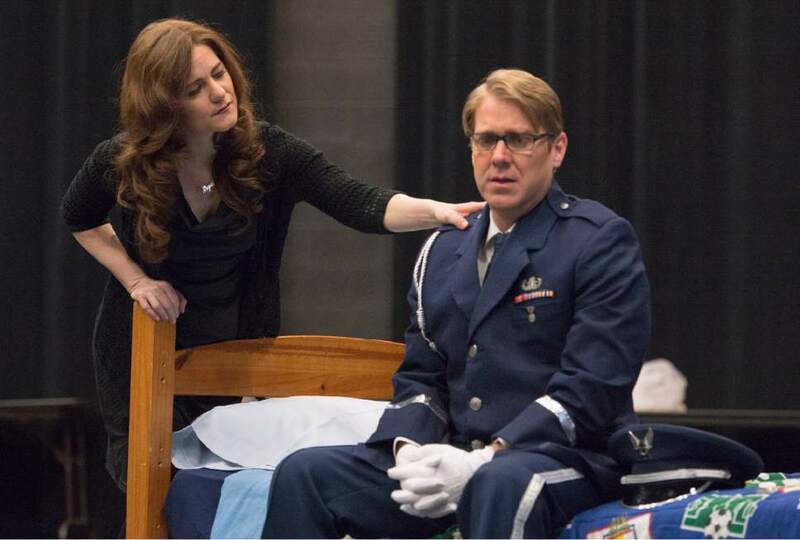 Leah Hogsten | The Salt Lake Tribune Daniel Belcher plays Brian and Megan Marino plays Jessie in Utah Opera's upcoming production "The Long Walk." The story follows Brian Castner, whose memoir "The Long Walk: A Story of War and the Life that Follows" chronicles his service in the Iraq War and struggles after in dealing with a traumatic brain injury. 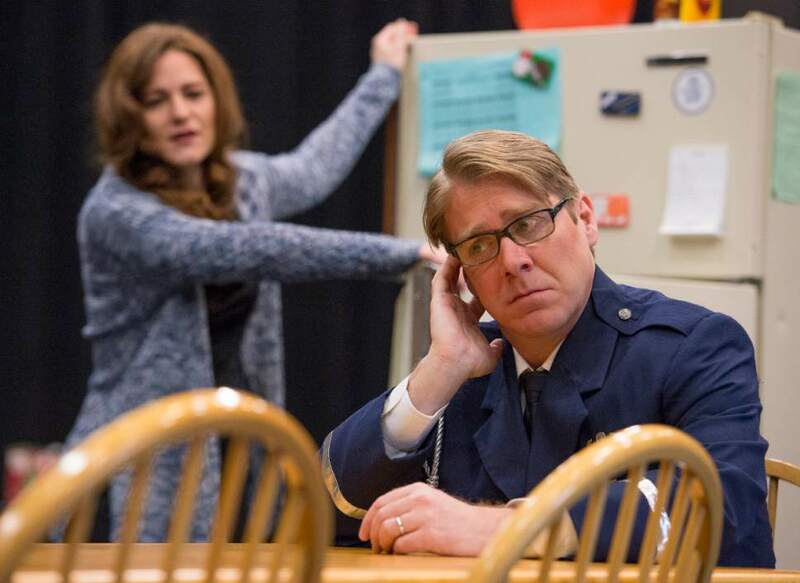 Leah Hogsten | The Salt Lake Tribune Daniel Belcher plays Brian and Megan Marino plays Jessie in Utah Opera's upcoming production "The Long Walk." The story follows Brian Castner, whose memoir "The Long Walk: A Story of War and the Life that Follows" chronicles his service in the Iraq War and struggles after in dealing with a traumatic brain injury. 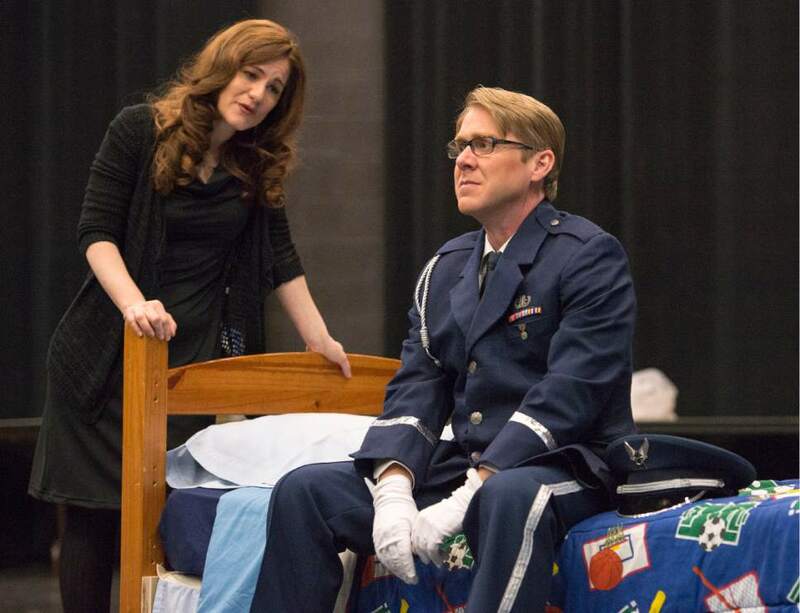 Leah Hogsten | The Salt Lake Tribune Megan Marino plays Jessie and Daniel Belcher plays Brian in Utah Opera's upcoming production "The Long Walk." The story follows Brian Castner, whose memoir "The Long Walk: A Story of War and the Life that Follows" chronicles his service in the Iraq War and struggles after in dealing with a traumatic brain injury. Leah Hogsten | The Salt Lake Tribune Megan Marino plays Jessie and Daniel Belcher plays Brian in Utah Opera's upcoming production "The Long Walk." The story follows Brian Castner, whose memoir "The Long Walk: A Story of War and the Life that Follows" chronicles his service in the Iraq War and struggles after in dealing with a traumatic brain injury. Leah Hogsten | The Salt Lake Tribune Megan Marino plays Jessie and Daniel Belcher plays Brian in Utah Opera's upcoming production "The Long Walk." The story follows Brian Castner, whose memoir "The Long Walk: A Story of War and the Life that Follows" chronicles his service in the Iraq War and struggles after in dealing with a traumatic brain injury. Leah Hogsten | The Salt Lake Tribune Megan Marino plays Jessie and Daniel Belcher plays Brian in Utah Opera's upcoming production "The Long Walk." The story follows Brian Castner, whose memoir "The Long Walk: A Story of War and the Life that Follows" chronicles his service in the Iraq War and struggles after in dealing with a traumatic brain injury. 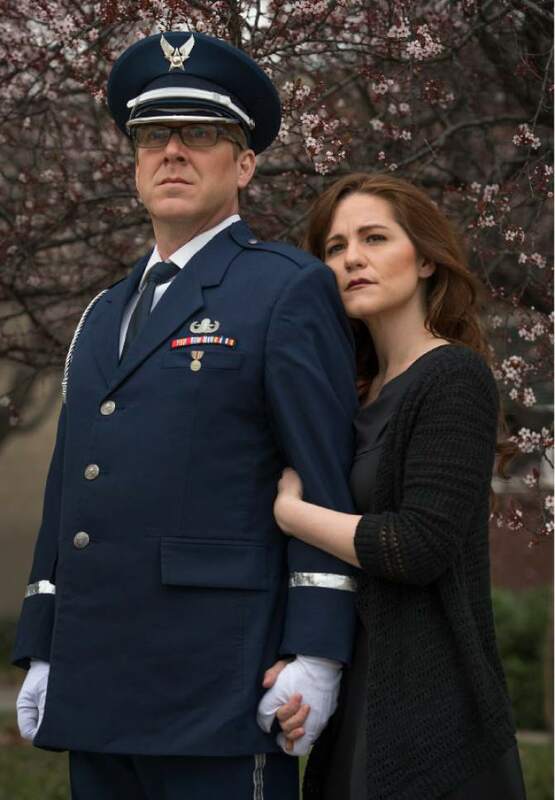 Utah Opera took a big step outside the proverbial box this weekend with two special performances of "The Long Walk," Jeremy Howard Beck and Stephanie Fleischmann&apos;s chamber opera based on a memoir by Iraq War veteran Brian Castner, in the intimate Jeanné Wagner Theatre. It&apos;s a painful but important, and ultimately inspiring, story. 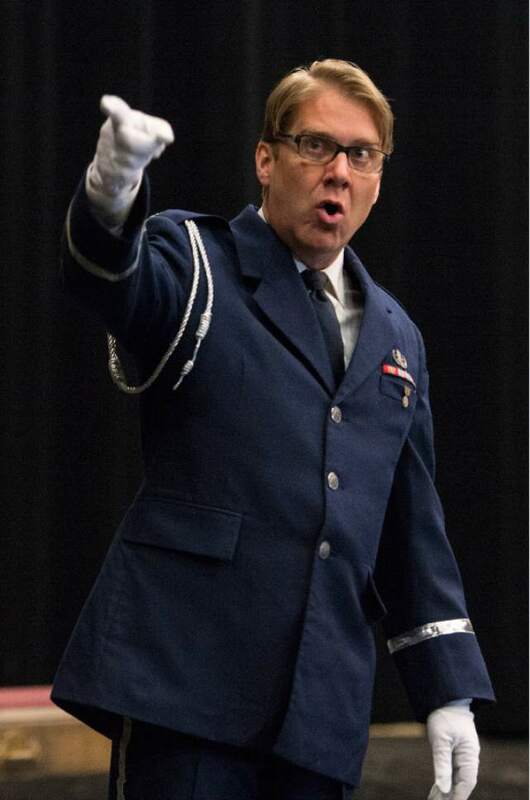 Daniel Belcher, a frequent guest at Utah Opera in more traditional baritone roles such as Papageno and Figaro, has been associated with this opera from the very beginning. In Friday&apos;s performance, the first of two, Belcher gave a riveting portrayal in the physically and emotionally taxing role of Brian, a bomb-disposal expert who returns home and finds that he himself has become a time bomb. An undiagnosed blast-induced traumatic brain injury has scrambled his memories and caused him to disconnect from his family as seemingly mundane moments transport him back to the desert. "The road to school is fraught with danger," Belcher sang as he armed the family minivan. Stage director David Schweizer illuminated the connections between wartime and domestic life with striking effect. Megan Marino gave a moving portrait of Brian&apos;s wife, Jessie  at a loss as to how to help him, but determined to avoid the sad fate predicted by her grandmother: "The war will kill him at home." Madeleine Choir School choristers Anthony Villanueva, Henry Poppe and Alex Yannelli showed how the strain affected the couple&apos;s young sons. "The war followed him home," the boys sang. "He felt like a stranger, not like a dad." 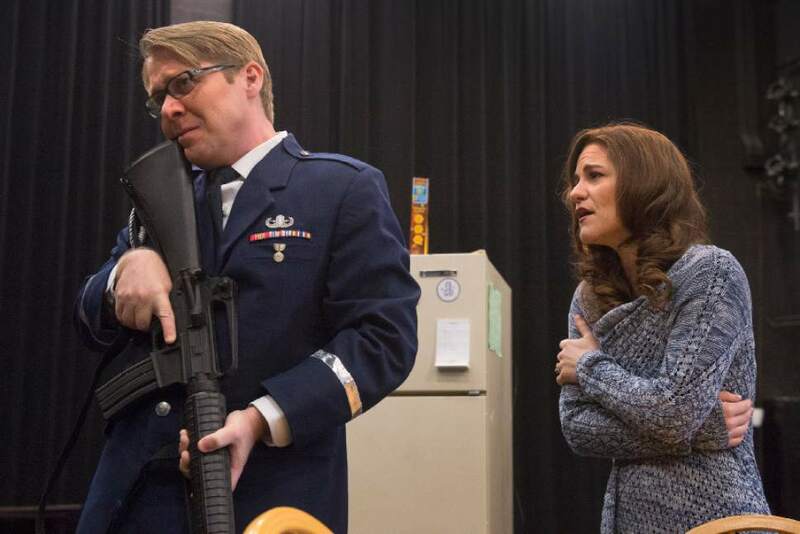 Abigail Rethwisch, the understudy who stepped authoritatively into the title role of Utah Opera&apos;s "Lucia di Lammermoor" last month, was the standout among the strong supporting cast. Her star power shone through in her portrayals of Brian&apos;s daffy sister and his matter-of-fact therapist. Donita Volkwijn delivered one of the evening&apos;s most memorable moments, a gospel lament by the newly widowed Perneatha. Christian Sanders, Martin Bakari and Matthew Scollin, playing Brian&apos;s comrades, were outstanding dramatically as well as vocally, though the uncredited nonsinging actors in the funeral scene didn&apos;t quite capture the crisp physicality of soldiers. A small contingent of Utah Symphony members, stationed just outside the family&apos;s kitchen windows, performed Beck&apos;s score under the expert direction of Steven Osgood, employing unusual techniques to reflect the chaos inside Brian&apos;s head. In the first act especially, the intensity was almost too much to bear. The music, like the story, reached a turning point in the second act when Brian received a diagnosis and the family began to heal; a few sniffles were heard throughout the theater. 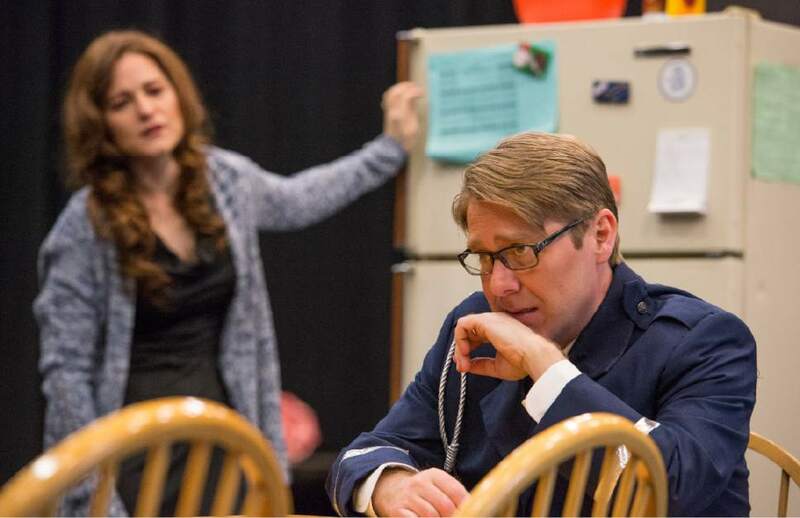 Utah Opera presents Jeremy Howard Beck and Stephanie Fleischmann&apos;s "The Long Walk," based on Brian Castner&apos;s memoir. When • Reviewed Friday, March 31; repeats Saturday, April 1, at 7:30 p.m.